The FIM-92 “Stinger” is a short-range man-portable air defense system (MANPADS). [vii] The stinger was designed to provide air defense capabilities to U.S. and allied troops when forward deployed and thus eliminate the immediate need for air support should an enemy aircraft threaten the troops. The FIM-92 Stinger served as a replacement to the FIM-43 Redeye. The stinger entered service in 1978 after nearly 10 years of development and delays. Since then, there have been multiple upgrades and modifications made to the stinger. The stinger provides air defense for light infantry (not protected by armored vehicles) platoon size elements during missions and “outside the wire” activities. 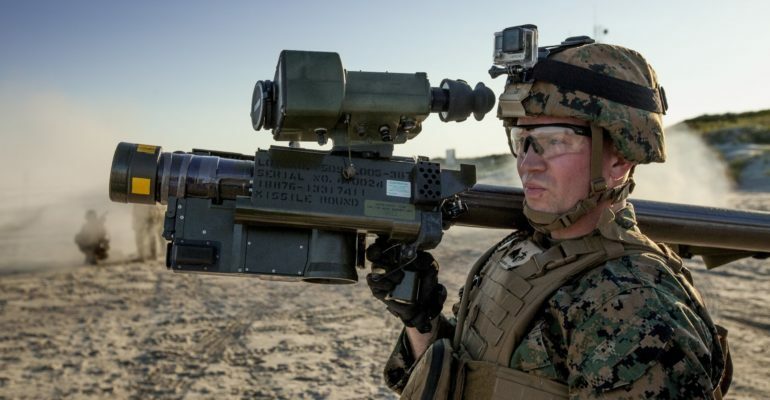 This capability allows air defense at the tactical level, offering U.S. and allied troops a way to defend themselves from aerial attack, while offering the mobility a light infantry unit needs to conduct its missions. Without the stinger, the platoon would not be able to defend themselves against an aerial attack without armored vehicles or tanks.